As a person from a formerly colonized country, I find it unsettling to participate in the ongoing colonization of other peoples. 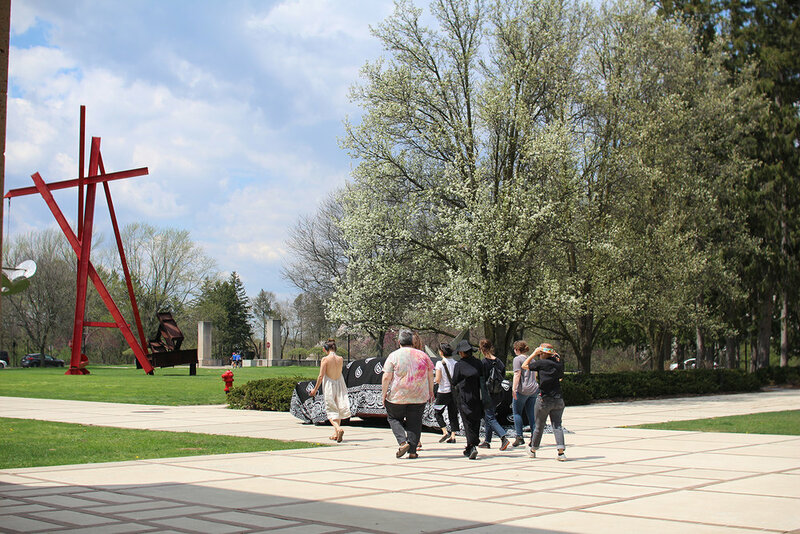 This site-specific piece was created to unsettle our ideas about place, specifically the legacy of the land at Cranbrook Educational Community, in Bloomfield Hills, Michigan, U.S.A.
Cranbrook sits on occupied Anishinaabe land. The Anishinaabe are made up of the Ojibwe (also known as Chippewa), the Odawa (also known as Ottawa) and Potawatomi nations. The piece consists of two parts. The first is a reproduction of a map drawn by George Gough Booth, the founder of Cranbrook. 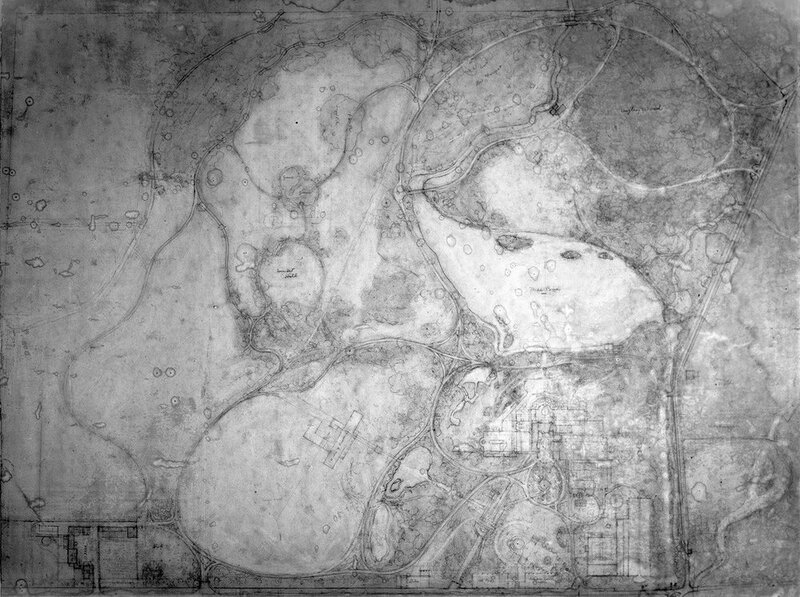 For twenty years he used the map to draw up his plans for building and landscaping. He also erased lines as buildings failed to materialize or were demolished, so much so that it was called the “erasures plan.” I have taken the liberty of erasing further. 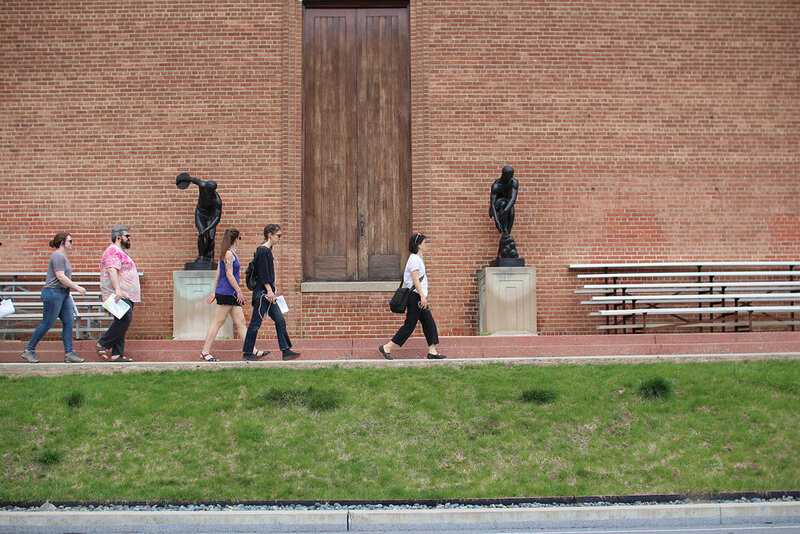 The second part of the piece is interactive, a self-guided walk around the campus using the accompanying guide. Unlike most walks at Cranbrook, this one is not about leisure, exercise, or admiration of built and natural beauty. Rather, it is about the legacy of Cranbrook in the context of settler colonialism and current-day occupation of indigenous lands, using the walk to witness the tracks of the past in the present in order to imagine another future. Click on the images below to access a map of the walk route, audio guide for the walk, and a booklet with the transcript of the audio narrative along with supplementary photos.